Friday, 13. 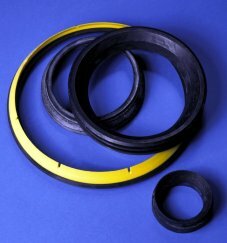 August 2010 Therban® (HNBR) is a high performance elastomer especially used for seals, o-rings, and belts. Therban® (HNBR) is a high performance elastomer especially used for seals, o-rings, and belts. Rhenogran® Li2CO3-50/HNBR, developed by Rhein Chemie and LANXESS scientists, can extend the life time of these rubber parts. It increases the aging resistance regarding heat aging and water swelling particularly compared to sodium carbonate. Rhenogran® Li2CO3-50/HNBR is predispersed in HNBR and therefore fully compatible. Find more information in our technical presentation.